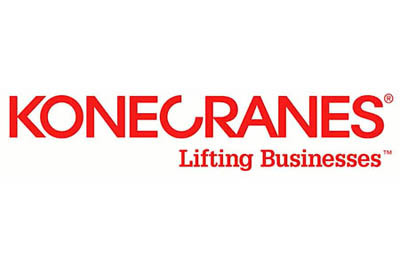 As we believe that one of the best indicators of customer satisfaction is repeat business, we are delighted to feature one of our long-term clients, Konecranes Demag UK Limited, as this month's case study. Konecranes Demag is a world-leading group of Lifting Businesses™, serving a broad range of customers, including manufacturing and process industries, shipyards, ports and terminals. They provide industrial lifting equipment, related services and port solutions. We have worked with Konecranes Demag over a number of years recruiting sales, administrative and technical staff for their various locations throughout the UK. Most recently, they asked us to find three new people to join their service engineering teams, helping them to provide excellent maintenance and regular servicing for their equipment at client sites. We made sure that we understood both their requirements and also the potential career paths at Konecranes in order to help us sell the opportunity to potential candidates. As we specialise in engineering as a market sector, we were able to source some great candidates, pre-interview them, and then send the best fit individuals to our client's HR team for interview. Our client selected the best three and these individuals are already hard at work at Konecranes Demag. "Fraser and his team clearly understand this technical sector and also our business," says Victoria, HR Controller at Konecranes Demag. "They understood the specific brief and began their search promptly. Whilst, it's not always easy to find suitably qualified and experienced people for these positions, they sent us high quality candidates for interview and we are very pleased with the outcome. We are looking forward to working with Fraser and his team again on our next recruiting opportunity."